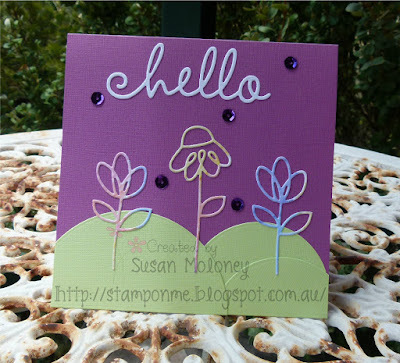 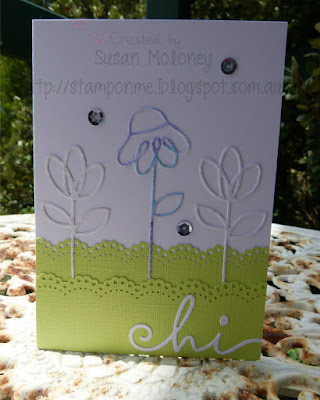 I love these Dainty Flowers dies from Paper Smooches. 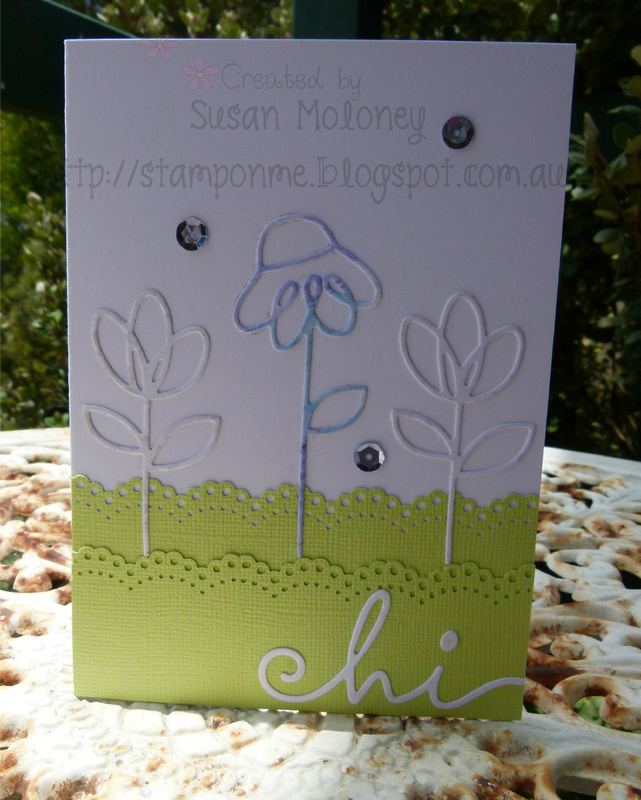 I cut the flowers on the first card from cardstock that I had watercoloured using my Inktense pencils. I used the Happy Hellos Dienamics from My Favorite Things for the sentiment.